Taking your cat along on a flight is quite tricky. However, there are times when you have to travel with your cat for reasons such as moving to another state or going to another country for your yearly holiday. If your cat is the adventurous type and likes to explore new places as you do, you are in luck. Otherwise, you might have to think about how best to get your pet from one point to another, which is often stressful. Some cats don’t like to be carried in a pet bag and going to places other than home. If you are looking to take a flight soon and wouldn’t want to leave your lovely cat behind, here are a few tips on how to travel with a cat on a plane. Airlines have stringent rules regarding cats on a flight. Your cat should be in a carrier. Most air companies have specific requirements when it comes to a cat carrier, so be sure to call in and inquire or check on their websites. During a security check, airport authorities require that all pets be taken out of their carriers. For that reason, be sure to carry a leash or harness along to help you accomplish this safely. Check ahead of time to find out if your preferred airline will want your pet out of the carrier before and after the flight. 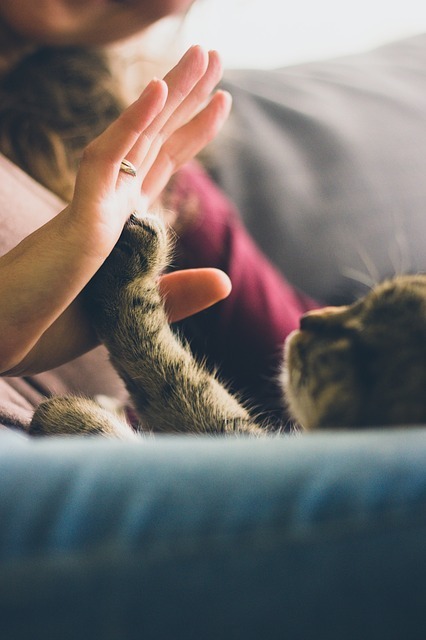 If it’s the first time your cat is riding in the carrier or she doesn’t ride quietly, ensure you do some desensitization before the travel date. Leave your carrier out, place a comfortable blanket or mat inside and keep it open for a couple of days. Cats are naturally curious, and yours might decide to approach the carrier and investigate. If that happens, offer treats and some praise with a gentle voice. In the event that your cat likes the experience, you can close the carrier’s door for a few minutes at a time. With time, close the door for longer and practice carry your pet around over small distances. It doesn’t help to wait until the last minute to make important inquiries. What works is reaching out to your airline up to a month prior and inquiring about their rules and requirements regarding taking a flight along with your pet. Inquire whether you will be allowed to keep your pet in the plane’s cabin. If that’s not the case, find another airline that allows pets to travel in the cabin. Your cat is safest in the cabin, next to you. Cargo holds are not exactly pet-friendly. Temperature change in the cargo hold is unpredictable and drastic, and there’s no one down there to monitor your cat’s condition. If you feel there’s more you would want to know about how to travel with a cat on a plane, consult your vet. Vets know a lot about cats, so yours will be able to offer useful pointers. Plus, a trip to the vet is important not only because your airline will ask you for health records, but also to ensure your pet is healthy enough to last the entire flight. Cats don’t handle excess stress that well. Stress and discomfort can lead to a heart attack, something you want to avoid at all costs. Ensure that your cat is vaccinated for everyone’s sake, and get all your paperwork right. As a pet parent, there are many other rules you need to know. Some airlines have blanket restrictions regardless of whether your cat rides in the cargo hold or the cabin. For example, some airlines, like the United Airlines, don’t allow kittens below 10 months on board the plane. It’s a nice idea, especially for a pet parent who wouldn’t want to have the cat place under the seat on the front. Buying your cat a ticket will ensure the two of you are in constant touch at all times. 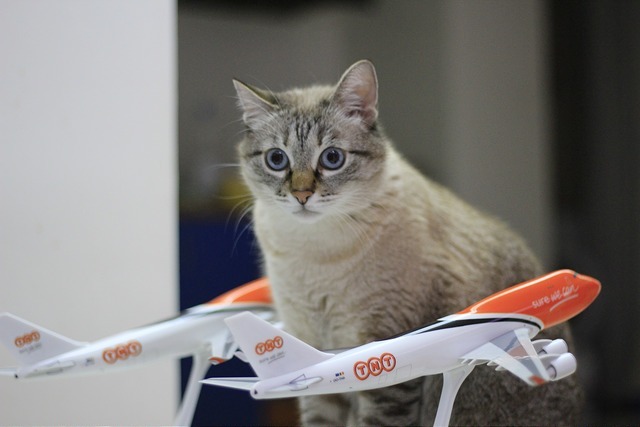 In addition, it’s quite easy to monitor and calm your cat during the flight. However, before you purchase two tickets, inquire from your airline whether you can purchase a ticket for your pet. Not every airline is crazy about pets having their own seats. There are countries and states with specific rules regarding the entry of pets. You may be required to administer vaccinations or take blood tests, so timing is of the essence. Your cat may need to be microchipped as well. Some countries have special quarantine rules applicable to incoming pets, as well, thus it’s necessary that you know them beforehand. On the flight day, get to the airport early and proceed to the ticketing counter along with your pet in case both of you will share the cabin. If your cat will be housed in the cargo area, inquire where to drop her off because, in some airports, cargo area may be in a different section. Standard practice at the airport screening section is that your cat’s carrier has to pass through the X-ray machine, while the two of you pass through the metal detector. If you take flights frequently together with your cat, it pays to become a registered member of TSA PreCheck. As a member, you are allowed to use a faster line and you won’t have to take off your light jacket or shoes. Keep in mind that the rules vary. Find out from your airline whether they have similar rules when you have a trip in mind so that both of you reach your destination comfortably. Cats are wonderful pets, which is why most people like to travel around with them. While it’s possible to travel from one place to another in the company of your pet, airlines have rules that they use to decide whether your cat can come along. 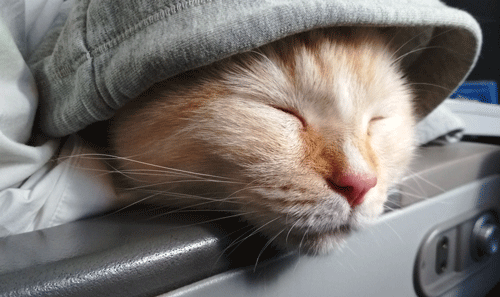 We hope that our tips on how to travel with a cat on a plane will be beneficial in the future.